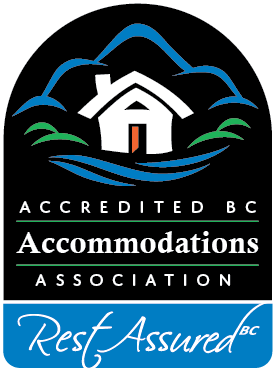 Accredited BC Accommodations recognizes that at times Adults “getting away from it all” means an adult oriented Bed And Breakfast. Although we all love children, sometimes the accommodation is just not appropriate and we choose to offer surroundings that are quiet, romantic and truly a rejuvenating get away. Our adult-oriented property is perfectly suited to a quiet romantic getaway.... complimentary afternoon sherry, luxurious guestrooms with gas fireplaces, jetted tubs and many other special touches. Take a sunset walk along the waterfront promenade, or stroll up to the main street (2 blocks away), where you'll find one of a kind shops, coffee houses and a great selection of eateries. 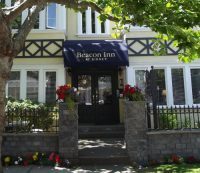 Escape to the Beacon Inn and discover for yourself why we were voted one of Victoria's most romantic Inns! Abbeymoore Manor understands the need to getaway and "reconnect" and our large comfortable rooms and child free environment make us an ideal B&B Getaway. We offer an affordable romance package, amazing in-room massages and anything else you can think of. Join us and see why we have been Featured in "Best Places to Kiss in the Northwest" for the past 5 years! Ask about our Romantic Getaway weekends- chocolates, flowers, catered dinner or BBQ. Birthday Specials! Anniveray Specials! A Golfers Package. A Spa Package - Try a Hot Stone Therapy Massage,. Soak in our Air Jet Tub, relax with aromatherapy and bathsalts. A cycler's dream- make this your home base for three days or more-cycle the trails, come back and swim, create your own happy hour, unwind. A Quilter's 3-4 day weekend! Imagine you and 5-6 friends sewing, sharing, and laughing. 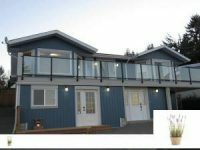 The Blue Grouse Country Inn is a quiet Bed and Breakfast with no facilities for small children. We are in a remote area and located inside Wells Gray Park, approx. 200 m off the main Park Road. 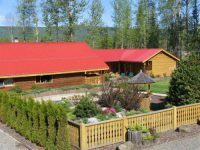 Our property is an ideal starting point for adult oriented outdoor adventure trips into the remote wilderness surrounding us. Wildlife can also often be seen just roaming around our property. B&B facilities include Sauna, Jaccuzzi, a private garden and sundeck, free wireless internet and laundry service. Crystal's view offering beautifully appointed suites with outstanding panoramic downtown Vancouver and Ocean views. Some suites with fire places, double jacuzzi tubs and balconies. At ThistleDown House we take your getaway very seriously. Our seductively romantic suites provide the perfect environment for reconnecting and relaxing.